Dr Chris Paton is the Group Head of the Global Health Informatics Group in the Centre for Tropical Medicine and Global Health at the University of Oxford. Following his training in clinical medicine, he specialised in Health Informatics and has led the development of a range of health informatics projects over the last 10 years in the UK and New Zealand. He became a Fellow of the Australasian College of Health Informatics in 2010 and received his Executive MBA in 2011. His research draws on cognitive psychology and information science to investigate how new digital technologies are being adopted for improving clinical practice in low and middle income countries. Dr Paton is the founder of the Health Informatics Forum, an international network of health informatics professionals and academics with more than 10,000 members. The forum hosts a large range of free online courses from leading health informatics professors with over 130 hours of online lectures. The Global Health Informatics Group are conducting a survey of digital health adoption in LMICs and investigating how the adoption of open source software and open data standards can promote clinical usability and interoperability (data sharing). 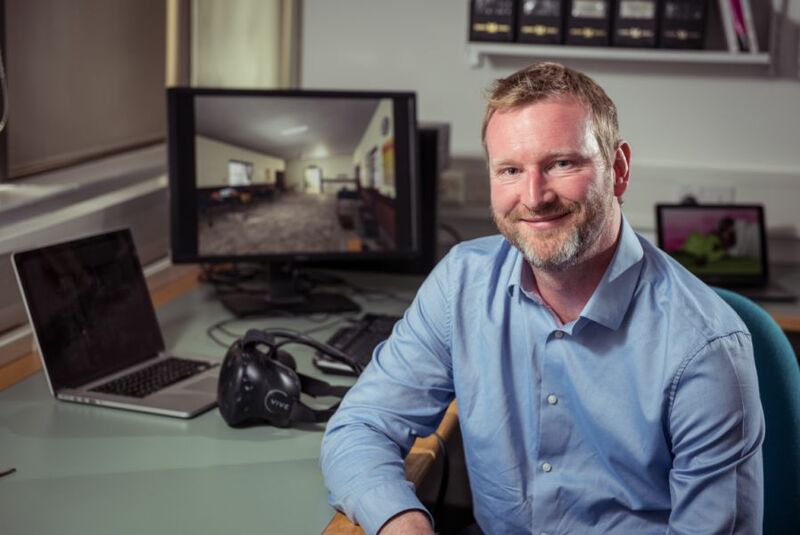 The LIFE project investigates the use of virtual reality and mobile technology for delivering simulation training on the management of emergencies in LMICs. LIFE was a winner of the 2016 Saving Lives at Birth Grand Challenge for Development and was featured at CES 2017 to demonstrate the use of VR for medical training. The project has received press coverage the Oxford Mail, BBC Radio Oxford, Heart FM and was recently covered by the BBC South Today programme. OBJECTIVE: The International Medical Informatics Association (IMIA) Open Source Working Group (OSWG) initiated a group discussion to discuss current privacy and security issues in the open data movement in the healthcare domain from the perspective of the OSWG membership. METHODS: Working group members independently reviewed the recent academic and grey literature and sampled a number of current large-scale open data projects to inform the working group discussion. RESULTS: This paper presents an overview of open data repositories and a series of short case reports to highlight relevant issues present in the recent literature concerning the adoption of open approaches to sharing healthcare datasets. Important themes that emerged included data standardisation, the inter-connected nature of the open source and open data movements, and how publishing open data can impact on the ethics, security, and privacy of informatics projects. CONCLUSIONS: The open data and open source movements in healthcare share many common philosophies and approaches including developing international collaborations across multiple organisations and domains of expertise. Both movements aim to reduce the costs of advancing scientific research and improving healthcare provision for people around the world by adopting open intellectual property licence agreements and codes of practice. Implications of the increased adoption of open data in healthcare include the need to balance the security and privacy challenges of opening data sources with the potential benefits of open data for improving research and healthcare delivery. BACKGROUND: The Kenyan government, working with international partners and local organizations, has developed an eHealth strategy, specified standards, and guidelines for electronic health record adoption in public hospitals and implemented two major health information technology projects: District Health Information Software Version 2, for collating national health care indicators and a rollout of the KenyaEMR and International Quality Care Health Management Information Systems, for managing 600 HIV clinics across the country. Following these projects, a modified version of the Open Medical Record System electronic health record was specified and developed to fulfill the clinical and administrative requirements of health care facilities operated by devolved counties in Kenya and to automate the process of collating health care indicators and entering them into the District Health Information Software Version 2 system. OBJECTIVE: We aimed to present a descriptive case study of the implementation of an open source electronic health record system in public health care facilities in Kenya. METHODS: We conducted a landscape review of existing literature concerning eHealth policies and electronic health record development in Kenya. Following initial discussions with the Ministry of Health, the World Health Organization, and implementing partners, we conducted a series of visits to implementing sites to conduct semistructured individual interviews and group discussions with stakeholders to produce a historical case study of the implementation. RESULTS: This case study describes how consultants based in Kenya, working with developers in India and project stakeholders, implemented the new system into several public hospitals in a county in rural Kenya. The implementation process included upgrading the hospital information technology infrastructure, training users, and attempting to garner administrative and clinical buy-in for adoption of the system. The initial deployment was ultimately scaled back due to a complex mix of sociotechnical and administrative issues. Learning from these early challenges, the system is now being redesigned and prepared for deployment in 6 new counties across Kenya. CONCLUSIONS: Implementing electronic health record systems is a challenging process in high-income settings. In low-income settings, such as Kenya, open source software may offer some respite from the high costs of software licensing, but the familiar challenges of clinical and administration buy-in, the need to adequately train users, and the need for the provision of ongoing technical support are common across the North-South divide. Strategies such as creating local support teams, using local development resources, ensuring end user buy-in, and rolling out in smaller facilities before larger hospitals are being incorporated into the project. These are positive developments to help maintain momentum as the project continues. Further integration with existing open source communities could help ongoing development and implementations of the project. We hope this case study will provide some lessons and guidance for other challenging implementations of electronic health record systems as they continue across Africa. Objective: To give an overview of the role of Free/Libre and Open Source Software (FLOSS) in the context of secondary use of patient data to enable Learning Health Systems (LHSs). Methods: We conducted an environmental scan of the academic and grey literature utilising the MedFLOSS database of open source systems in healthcare to inform a discussion of the role of open source in developing LHSs that reuse patient data for research and quality improvement. Results: A wide range of FLOSS is identified that contributes to the information technology (IT) infrastructure of LHSs including operating systems, databases, frameworks, interoperability software, and mobile and web apps. The recent literature around the development and use of key clinical data management tools is also reviewed. Conclusions: FLOSS already plays a critical role in modern health IT infrastructure for the collection, storage, and analysis of patient data. The nature of FLOSS systems to be collaborative, modular, and modifiable may make open source approaches appropriate for building the digital infrastructure for a LHS. BACKGROUND: Audit and feedback is a common intervention for supporting clinical behaviour change. Increasingly, health data are available in electronic format. Yet, little is known regarding if and how electronic audit and feedback (e-A&F) improves quality of care in practice. OBJECTIVE: The study aimed to assess the effectiveness of e-A&F interventions in a primary care and hospital context and to identify theoretical mechanisms of behaviour change underlying these interventions. METHODS: In August 2016, we searched five electronic databases, including MEDLINE and EMBASE via Ovid, and the Cochrane Central Register of Controlled Trials for published randomised controlled trials. We included studies that evaluated e-A&F interventions, defined as a summary of clinical performance delivered through an interactive computer interface to healthcare providers. Data on feedback characteristics, underlying theoretical domains, effect size and risk of bias were extracted by two independent review authors, who determined the domains within the Theoretical Domains Framework (TDF). We performed a meta-analysis of e-A&F effectiveness, and a narrative analysis of the nature and patterns of TDF domains and potential links with the intervention effect. RESULTS: We included seven studies comprising of 81,700 patients being cared for by 329 healthcare professionals/primary care facilities. Given the extremely high heterogeneity of the e-A&F interventions and five studies having a medium or high risk of bias, the average effect was deemed unreliable. Only two studies explicitly used theory to guide intervention design. The most frequent theoretical domains targeted by the e-A&F interventions included 'knowledge', 'social influences', 'goals' and 'behaviour regulation', with each intervention targeting a combination of at least three. None of the interventions addressed the domains 'social/professional role and identity' or 'emotion'. Analyses identified the number of different domains coded in control arm to have the biggest role in heterogeneity in e-A&F effect size. CONCLUSIONS: Given the high heterogeneity of identified studies, the effects of e-A&F were found to be highly variable. Additionally, e-A&F interventions tend to implicitly target only a fraction of known theoretical domains, even after omitting domains presumed not to be linked to e-A&F. Also, little evaluation of comparative effectiveness across trial arms was conducted. Future research should seek to further unpack the theoretical domains essential for effective e-A&F in order to better support strategic individual and team goals. Objective: There is significant interest in the role of digital health technology in enabling optimal monitoring of heart failure patients. To harness this potential, it is vital to account for users' capacity and preferences in the development of technological solutions. We adopted an iterative approach focussed on learning from users' interactions with a mobile-health monitoring system. Methods: We used a participatory mixed methods research approach to develop and evaluate a mobile-health monitoring system. Fifty-eight heart failure patients were recruited from three health care settings in the UK and provided with Internet-enabled tablet computers that were wirelessly linked to sensor devices for blood pressure, heart rate and weight monitoring. One to two home visits were conducted with a subgroup of 29 participants to evaluate the usability of the system over a median follow-up period of six months. The thematic analysis of observational data and 45 interviews was informed by the domestication of technology theory. Results: Our findings indicate that digital health technologies need to create and extend connections with health professionals, be incorporated into users' daily routines, and be personalised according to users' technological competencies and interest in assuming a proactive or more passive role in monitoring their condition. Conclusions: Users' patterns of engagement with health technology changes over time and varies according to their need and capacity to use the technology. Incorporating diverse user experiences in the development and maintenance of mobile-health systems is likely to increase the extent of successful uptake and impacts on outcomes for patients and providers. Mobile technology is very prevalent in Kenya-mobile phone penetration is at 88% and mobile data subscriptions form 99% of all internet subscriptions. While there is great potential for such ubiquitous technology to revolutionise access and quality of healthcare in low-resource settings, there have been few successes at scale. Implementations of electronic health (e-Health) and mobile health (m-Health) technologies in countries like Kenya are yet to tackle human resource constraints or the political, ethical and financial considerations of such technologies. We outline recent innovations that could improve access and quality while considering the costs of healthcare. One is an attempt to create a scalable clinical decision support system by engaging a global network of specialist doctors and reversing some of the damaging effects of medical brain drain. The other efficiently extracts digital information from paper-based records using low-cost and locally produced tools such as rubber stamps to improve adherence to clinical practice guidelines. By bringing down the costs of remote consultations and clinical audit, respectively, these projects offer the potential for clinics in resource-limited settings to deliver high-quality care. This paper makes a case for continued and increased investment in social enterprises that bridge academia, public and private sectors to deliver sustainable and scalable e-Health and m-Health solutions. In many low income countries health information systems are poorly equipped to provide detailed information on hospital care and outcomes. Information is thus rarely used to support practice improvement. We describe efforts to tackle this challenge and to foster learning concerning collection and use of information. This could improve hospital services in Kenya. We are developing a Clinical Information Network, a collaboration spanning 14 hospitals, policy makers and researchers with the goal of improving information available on the quality of inpatient paediatric care across common childhood illnesses in Kenya. Standardised data from hospitals' paediatric wards are collected using non-commercial and open source tools. We have implemented procedures for promoting data quality which are performed prior to a process of semi-automated analysis and routine report generation for hospitals in the network. In the first phase of the Clinical Information Network, we collected data on over 65 000 admission episodes. Despite clinicians' initial unfamiliarity with routine performance reporting, we found that, as an initial focus, both engaging with each hospital and providing them information helped improve the quality of data and therefore reports. The process has involved mutual learning and building of trust in the data and should provide the basis for collaborative efforts to improve care, to understand patient outcome, and to evaluate interventions through shared learning. We have found that hospitals are willing to support the development of a clinically focused but geographically dispersed Clinical Information Network in a low-income setting. Such networks show considerable promise as platforms for collaborative efforts to improve care, to provide better information for decision making, and to enable locally relevant research. Mike English and colleagues argue that as efforts are made towards achieving universal health coverage it is also important to build capacity to develop regionally relevant evidence to improve healthcare. Aims: Previous generations of home monitoring systems have had limited usability. We aimed to develop and evaluate a user-centred and adaptive system for health monitoring and self-management support in patients with heart failure. Methods and results: Patients with heart failure were recruited from three UK centres and provided with Internet-enabled tablet computers that were wirelessly linked with sensor devices for blood pressure, heart rate, and weight monitoring. Patient observations, interviews, and concurrent analyses of the automatically collected data from their monitoring devices were used to increase the usability of the system. Of the 52 participants (median age 77 years, median follow-up 6 months [interquartile range, IQR, 3.6-9.2]), 24 (46%) had no, or very limited prior, experience with digital technologies. It took participants about 1.5 min to complete the daily monitoring tasks, and the rate of failed attempts in completing tasks was <5%. After 45 weeks of observation, participants still used the system on 4.5 days per week (confidence interval 3.2-5.7 days). Of the 46 patients who could complete the final survey, 93% considered the monitoring system as easy to use and 38% asked to keep the system for self-management support after the study was completed. Conclusion: We developed a user-centred home monitoring system that enabled a wide range of heart failure patients, with differing degrees of IT literacy, to monitor their health status regularly. Despite no active medical intervention, patients felt that they benefited from the reassurance and sense of connectivity that the monitoring system provided. OBJECTIVE: To share approaches and innovations adopted to deliver a relatively inexpensive clinical data management (CDM) framework within a low-income setting that aims to deliver quality pediatric data useful for supporting research, strengthening the information culture and informing improvement efforts in local clinical practice. MATERIALS AND METHODS: The authors implemented a CDM framework to support a Clinical Information Network (CIN) using Research Electronic Data Capture (REDCap), a noncommercial software solution designed for rapid development and deployment of electronic data capture tools. It was used for collection of standardized data from case records of multiple hospitals' pediatric wards. R, an open-source statistical language, was used for data quality enhancement, analysis, and report generation for the hospitals. RESULTS: In the first year of CIN, the authors have developed innovative solutions to support the implementation of a secure, rapid pediatric data collection system spanning 14 hospital sites with stringent data quality checks. Data have been collated on over 37 000 admission episodes, with considerable improvement in clinical documentation of admissions observed. Using meta-programming techniques in R, coupled with branching logic, randomization, data lookup, and Application Programming Interface (API) features offered by REDCap, CDM tasks were configured and automated to ensure quality data was delivered for clinical improvement and research use. CONCLUSION: A low-cost clinically focused but geographically dispersed quality CDM (Clinical Data Management) in a long-term, multi-site, and real world context can be achieved and sustained and challenges can be overcome through thoughtful design and implementation of open-source tools for handling data and supporting research. BACKGROUND: Despite their potential for improving health outcomes, mobile-based home monitoring systems for heart failure have not yet been taken up widely by the patients and providers. OBJECTIVES: To design and iteratively move towards a personalised mobile health monitoring system for patients living with heart failure, according to their health care and usability needs. METHODS: We present an iterative approach to refining a remote health monitoring system that is based on interactions between different actors (patients, clinicians, social scientists and engineers) and supports the collection of quantitative and qualitative information about user experience and engagement. Patients were provided with tablet computers and commercially available sensing devices (a blood pressure monitor, a set of weighing scales, and a pulse oximeter) in order to complete physiological measurements at home, answer symptom-specific questionnaires, review their personal readings, view educational material on heart failure self-management, and communicate with their health professionals. The system supported unobtrusive remote software upgrades via an application distribution channel and the activation or deactivation of functional components by health professionals during run-time operation. We report early findings from the application of this approach in a cohort of 26 heart failure patients (mean age 72±15 years), their caregivers and healthcare professionals who participated in the SUPPORT-HF (Seamless User-centred Proactive Provision Of Risk-stratified Treatment for Heart Failure) study over a one-year study period (mean patient follow-up duration=270±62 days). RESULTS: The approach employed in this study led to several system upgrades dealing in particular with patient requirements for better communication with the development team and personalised self-monitoring interfaces. Engagement with the system was constantly high throughout the study and during the last week of the evaluation, 23 patients (88%) used the system at least once and 16 patients (62%) at least three times. CONCLUSIONS: Designers of future mobile-based home monitoring systems for heart failure and other chronic conditions could leverage the described approach as a means of meeting patients' needs during system use within the home environment and facilitating successful uptake. OBJECTIVES: As technology continues to evolve and rise in various industries, such as healthcare, science, education, and gaming, a sophisticated concept known as Big Data is surfacing. The concept of analytics aims to understand data. We set out to portray and discuss perspectives of the evolving use of Big Data in science and healthcare and, to examine some of the opportunities and challenges. METHODS: A literature review was conducted to highlight the implications associated with the use of Big Data in scientific research and healthcare innovations, both on a large and small scale. RESULTS: Scientists and health-care providers may learn from one another when it comes to understanding the value of Big Data and analytics. Small data, derived by patients and consumers, also requires analytics to become actionable. Connectivism provides a framework for the use of Big Data and analytics in the areas of science and healthcare. This theory assists individuals to recognize and synthesize how human connections are driving the increase in data. Despite the volume and velocity of Big Data, it is truly about technology connecting humans and assisting them to construct knowledge in new ways. Concluding Thoughts: The concept of Big Data and associated analytics are to be taken seriously when approaching the use of vast volumes of both structured and unstructured data in science and health-care. Future exploration of issues surrounding data privacy, confidentiality, and education are needed. A greater focus on data from social media, the quantified self-movement, and the application of analytics to "small data" would also be useful. BACKGROUND: One potential promising strategy for increasing smoking cessation for Māori (Indigenous New Zealanders) and New Zealand resident Pacific Island people is Quit and Win competitions. The current uncontrolled pre and post study, WERO (WERO in Māori language means challenge), differs from previous studies in that it aims to investigate if a stop smoking contest, using both within team support, external support from a team coach and cessation experts, and technology, would be effective in prompting and sustaining quitting. METHOD: Fifteen teams, recruited from urban Māori, rural Māori and urban Pacific communities, competed to win a NZ$5000 (about € 3,000, £ 2600) prize for a charity or community group of their choice. People were eligible if they were aged 18 years and over and identified as smokers. Smoking status was biochemically validated at the start and end of the 3 month competition. At 3-months post competition self-reported smoking status was collected. RESULTS: Fourteen teams with 10 contestants and one team with eight contestants were recruited. At the end of the competition the biochemically verified quit rate was 36%. The 6 months self-reported quit rate was 26%. The Pacific and rural Māori teams had high end of competition and 6 months follow-up quit rates (46% and 44%, and 36% and 29%). CONCLUSION: WERO appeared to be successful in prompting quitting among high smoking prevalence groups. WERO combined several promising strategies for supporting cessation: peer support, cessation provider support, incentives, competition and interactive internet and mobile tools. Though designed for Māori and Pacific people, WERO could potentially be effective for other family- and community-centred cultures. OBJECTIVES: This paper outlines a new method of teaching health informatics to large numbers of students from around the world through a Massive Open Online Course (MOOC). METHODS: The Health Informatics Forum is a social networking site for educating health informatics students and professionals [corrected]. It is running a MOOC for students from around the world that uses creative commons licenced content funded by the US government and developed by five US universities. The content is delivered through narrated lectures with slides that can be viewed online with discussion threads on the forum for class interactions. Students can maintain a professional profile, upload photos and files, write their own blog posts and post discussion threads on the forum. RESULTS: The Health Informatics Forum MOOC has been accessed by 11,316 unique users from 127 countries from August 2, 2012 to January 24, 2014. Most users accessed the MOOC via a desktop computer, followed by tablets and mobile devices and 55% of users were female. Over 400,000 unique users have now accessed the wider Health Informatics Forum since it was established in 2008. CONCLUSIONS: Advances in health informatics and educational technology have both created a demand for online learning material in health informatics and a solution for providing it. By using a MOOC delivered through a social networking platform it is hoped that high quality health informatics education will be able to be delivered to a large global audience of future health informaticians without cost. BACKGROUND: Māori and Pacific Island people have significantly higher smoking rates compared to the rest of the New Zealand population. The main aim of this paper is to describe how knowledge of Indigenous people's practices and principles can be combined with proven effective smoking cessation support into a cessation intervention appropriate for Indigenous people. METHODS/DESIGN: A literature review was conducted to identify what cultural principles and practices could be used to increase salience, and what competition elements could have an impact on efficacy of smoking cessation. The identified elements were incorporated into the design of a cessation intervention. DISCUSSION: Cultural practices incorporated into the intervention include having a holistic family or group-centred focus, inter-group competitiveness, fundraising and ritual pledging. Competition elements included are social support, pharmacotherapy use, cash prize incentives and the use of a dedicated website and iPad application. A pre-test post-test will be combined with process evaluation to evaluate if the competition results in triggering mass-quitting, utilisation of pharmacotherapy and in increasing sustained smoking cessation and to get a comprehensive understanding of the way in which they contribute to the effect. The present study is the first to describe how knowledge about cultural practices and principles can be combined with proven cessation support into a smoking cessation contest. The findings from this study are promising and further more rigorous testing is warranted. The Journal of Health Informatics in Developing Countries was established to meet a perceived need for Health Informaticians in developing countries to be able to share the results of their research in an affordable and easy-to-access online publication. The journal was developed using the open source platform "Open Journal System," and has now published 67 articles across 13 issues. A collaborative editorial approach has been established to address the problems of limited research budgets, difficulties with translating to English and other problems specific to authors from developing countries. The journal faces many challenges including ensuring future financial sustainability and inclusion in journal indexing systems. However, the continuing support of an international body of Associate Editors and Editorial Board Members has enabled a wide range of useful and informative health informatics research to be disseminated across the developing world. Social networking sites (SNS) are now part of everyday life, and SNSs such as Facebook, YouTube, and Twitter are among the most accessed Web sites on the Internet. Although SNSs are primarily used for staying in touch with friends and family, they are increasingly being used for health-related purposes for a variety of conditions, including concussion awareness. As health interventions begin to be more commonly provided through SNSs (particularly Facebook), ethical issues have been raised with regard to confidentiality, privacy, and trust; these issues need to be addressed. This article outlines some of the key considerations when providing a concussion intervention through Facebook and discusses potential solutions to these issues. OBJECTIVES: This paper explores the range of self-tracking devices and social media platforms used by the self-tracking community, and examines the implications of widespread adoption of these tools for scientific progress in health informatics. METHODS: A literature review was performed to investigate the use of social media and self-tracking technologies in the health sector. An environmental scan identified a range of products and services which were used to exemplify three levels of self-tracking: self-experimentation, social sharing of data and patient controlled electronic health records. RESULTS: There appears to be an increase in the use of self-tracking tools, particularly in the health and fitness sector, but also used in the management of chronic diseases. Evidence of efficacy and effectiveness is limited to date, primarily due to the health and fitness focus of current solutions as opposed to their use in disease management. CONCLUSIONS: Several key technologies are converging to produce a trend of increased personal health surveillance and monitoring, social connectedness and sharing, and integration of regional and national health information systems. These trends are enabling new applications of scientific techniques, from personal experimentation to e-epidemiology, as data gathered by individuals are aggregated and shared across increasingly connected healthcare networks. These trends also raise significant new ethical and scientific issues that will need to be addressed, both by health informatics researchers and the communities of self-trackers themselves. OBJECTIVES: Social media are online tools that allow collaboration and community building. Succinctly, they can be described as applications where "users add value". This paper aims to show how five educators have used social media tools in medical and health education to attempt to add value to the education they provide. METHODS: We conducted a review of the literature about the use of social media tools in medical and health education. Each of the authors reported on their use of social media in their educational projects and collaborated on a discussion of the advantages and disadvantages of this approach to delivering educational projects. RESULTS: We found little empirical evidence to support the use of social media tools in medical and health education. Social media are, however, a rapidly evolving range of tools, websites and online experiences and it is likely that the topic is too broad to draw definitive conclusions from any particular study. As practitioners in the use of social media, we have recognised how difficult it is to create evidence of effectiveness and have therefore presented only our anecdotal opinions based on our personal experiences of using social media in our educational projects. CONCLUSION: The authors feel confident in recommending that other educators use social media in their educational projects. Social media appear to have unique advantages over non-social educational tools. The learning experience appears to be enhanced by the ability of students to virtually build connections, make friends and find mentors. Creating a scientific analysis of why these connections enhance learning is difficult, but anecdotal and preliminary survey evidence appears to be positive and our experience reflects the hypothesis that learning is, at heart, a social activity. BACKGROUND: Quality indicators are an important part of the primary care landscape, but focus strongly on point-in-time measurements, such as a patient's last blood pressure (BP) measurement. There is a larger space of possible measurements, including ones that more explicitly consider management over an interval of time. OBJECTIVE: To determine the predictive abilities of five different quality indicators related to poor BP control. METHODS: Data from two New Zealand general practices was analysed on five BP control indicators for patients with diagnosed hypertension: 1) last BP high (>150/90 mmHg); 2) last BP high or no BP measurement; 3) two or more consistently high BP measurements for ≥ 90 days; 4) a high BP then lapse of >120 days in BP measurement; and 5) antihypertensive medication possession ratio (MPR) of <80%. Probability that a patient would be identified by each indicator for the nine-month evaluation period ending 31 March 2009 was computed for each indicator one quarter, two quarters and three quarters prior to this date. Associations among the five indicators for the evaluation period were also calculated. RESULTS: Positive predictive value (PPV) of indicators for the same indicator nine months later ranged from 27% (last BP high) to 64% (MPR). PPVs among the five measures with respect to the same time period ranged from 9% to 77% (median 33%). CONCLUSIONS: Modest PPVs between indicators suggest the importance of considering multiple indicators to incentivise best management across diverse aspects of BP control. This paper provides a snapshot of the current interoperability standards landscape and investigates how different standards are adopted in different jurisdictions. The aim is to provide useful insights for decision makers by looking from a wider angle to include political, social and business drivers rather than taking a purely technical approach. Semantic interoperability, which is a major bottleneck to achieving eHealth systemic interoperability, is dependent on terminology, content and messaging standards. In particular, the architectural aspects of content and messaging standards seem to be critical and currently the subject of many heated debates. A considerable amount of effort into international harmonisation is underway and evidence shows that it may be possible to use different standards and yet still be able to accomplish semantic interoperability. It is recommended that a careful analysis be performed to seek evidence, rather than relying on hearsay, for determining how each standard fulfils certain requirements depending on the context. An environmental scan and literature survey highlights the fact that making a good choice of standards depends on what outcomes are desired, and usually involves selection of a number of different standards to be applied together. It is to be noted that, non-technical aspects of standards, such as acceptance, feasibility of implementation or availability of expertise, are as important, and determine what is achievable. The paper concludes by presenting a number of options which include combinations of standards and also provides insights for the evaluation and selection process. © of articles is retained by authors. Background: A systematic review of evaluations of innovative eHealth implementations was funded by the New Zealand Ministry of Health to inform information strategy. A key trend of interest to the Ministry was person-centered healthcare, including systems where health consumers use health information technology (IT) directly. Herein we report, analyze and reflect on the review findings with respect to such systems. Objectives: To review the nature and extent of known successes of health IT with consumers as users. Methods: Queries for evaluations of innovative eHealth implementations were submitted to MEDLINE, EMBASE, PsycINFO, CINAHL and Business Source Premier for articles appearing between 2003 and early 2009 and filtered on inclusion criteria of reporting actual implementations (i.e., use), innovativeness, evaluation (interpreted generously) and scaleability. Substitutions were made where more recent superior studies of the same or closely related projects could be found. Results: 100 of 1413 retrieved articles met the inclusion criteria; 47 of these involved consumers as users of a component of the evaluated system. Systems that provided messaging between the patient and their regular care provider met with satisfaction and good uptake. There were improved chronic disease outcomes in 11 of 15 education/self-management systems and 2 of 3 home telemonitoring systems where measurement of such outcomes was reported; a further 3 systems targeting the family members of individuals with chronic conditions as principal users all showed positive well-being outcomes for the caregivers. Conclusions: There have been a number of demonstrated instances of clear successes in both uptake and outcome for health IT interventions involving consumers as users, particularly for chronic condition management. However, compelling demonstrations (in terms of methods and sample size) remain isolated. More study is needed to assess the transferability of the demonstrated successes to greater scale, diverse contexts of deployment and to other conditions. Better keywords and more systematic reporting, particularly with respect to implementation and evaluation status, would aid similar reviews in the future. BACKGROUND: Pay for performance incentives are becoming increasingly popular, but are typically based on only a single point-in-time measurement as an indicator of chronic condition management. AIMS: To determine the association between three time-interval based indicators of suboptimal blood pressure (BP) control and two point-in-time indicators from the UK Quality and Outcomes Framework (QOF): BP5 (the percentage of patients with hypertension in whom the last BP in the previous nine months was < or = 150/90) and DM12 (the percentage of patients with diabetes in whom the last BP in the previous 15 months was < or = 145/85). METHODS: We extracted classification data and BP measurements from four New Zealand general practices with 4260 to 6130 enrolled patients. Data were analysed for three indicators with respect to a nine-month evaluation period for patients with hypertension and a 15-month period for patients with diabetes: (1) two or more consistently high BP measurements spaced over > or = 90 days, (2) a high BP measurement followed by a lapse of >120 days in BP measurement and (3) no BP measurement for >180 days. RESULTS: For the four practices, 65-81% of the patients satisfied BP5 and 59-68% of patients satisfied DM12. Of the hypertension patients satisfying BP5, 31% (95% CI: 28-33%) failed at least one of the three interval based indicators; 42% (95% CI: 39-46%) of the diabetes patients satisfying DM12 failed at least one of the three interval based indicators. CONCLUSION: Considering only a point-in-time controlled BP measurement provides an incomplete view of the quality of BP management in patients with hypertension or diabetes over a period of time. The Case-finding and Help Assessment Tool (CHAT) is a validated self-administered lifestyle and mood assessment assessing problem drinking, smoking, other drug use, gambling, anxiety, depression, abuse, anger and physical inactivity. Herein we present development and initial acceptability assessment of an electronic version (eCHAT) for use by patients at the general practice immediately prior to consultation with their general practitioner (GP). The system is designed to allow patients to undertake the eCHAT interview using a touchscreen display and to then provide the assessment data to the GP through their Practice Management System (PMS) for follow-up discussion with the patient. After initial feedback and subsequent minor modifications in a laboratory setting, the tool was deployed consecutively to two general practices. Fifty-one consenting adult patients completed a feedback survey. In addition to the patient feedback, a focus group of GP users, developers and researchers identified further issues for refinement of the system. Initial issues included the challenge of achieving a simple and reliable user interface design for patients to identify themselves. Subsequent to modification for this, eCHAT is found to be usable and acceptable for patients in the GP setting. In response to the focus group feedback, the PMS display for use by the GP in consultation has been modified to provide summary as well as detailed information about the eCHAT results. Further research directions include a randomised controlled trial to assess the impact of eCHAT screening on overall quality-of-life, and development of Web and mobile interfaces. OBJECTIVE: To provide an overview of Web 2.0 and Health 2.0, and so facilitate a widespread discussion of the nature of these concepts and their possible application within the health domain, and implications for health and biomedical informatics and for IMIA. METHODS: IMIA, the International Medical Informatics Association, has established a Web 2.0 Exploratory Taskforce to bring together interested individuals from within and outside IMIA to explore the nature and potential of Web 2.0 applications. The Taskforce aims to develop background materials and sample uses of Web 2.0 applications, so as to propose specific lines of action for the IMIA Board and General Assembly. This paper provides a brief overview of Web 2.0 and related concepts, and examples of general and health-specific Web 2.0 applications. Some examples of the issues, challenges and opportunities are introduced, to set the scene for a wider dialogue on if, how, and how best, IMIA, and the wider health and informatics communities, should use these new applications and approaches. RESULTS AND CONCLUSIONS: This brief paper provides an introduction to, and overview of, the many issues involved in considering the application of Web 2.0 to health and informatics. All interested individuals and organisations are invited to use this as a starting point for engaging in wider discussion and contributing to the Taskforce and to IMIA's future.